Can you believe it’s only 4 days until Christmas?? It sure did sneak up fast this year! Are you all ready? Christmas tree decorated? Presents wrapped and under the tree? 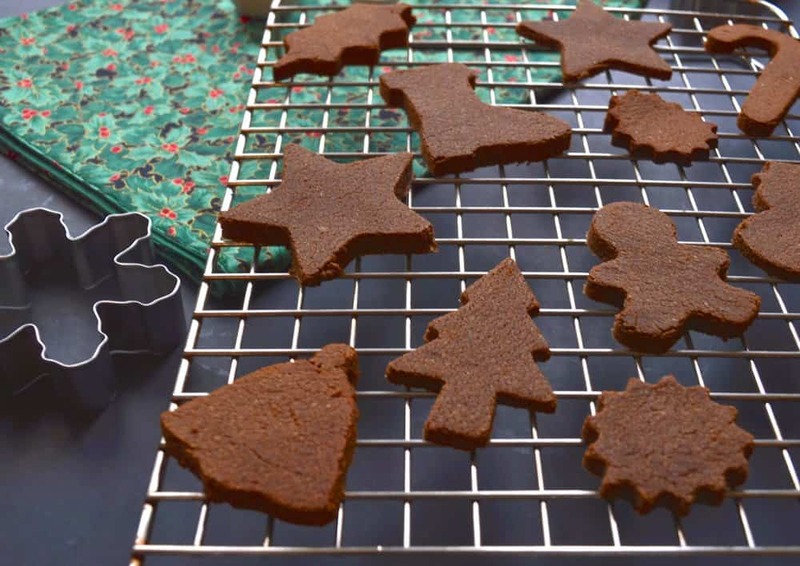 Holiday baking done? 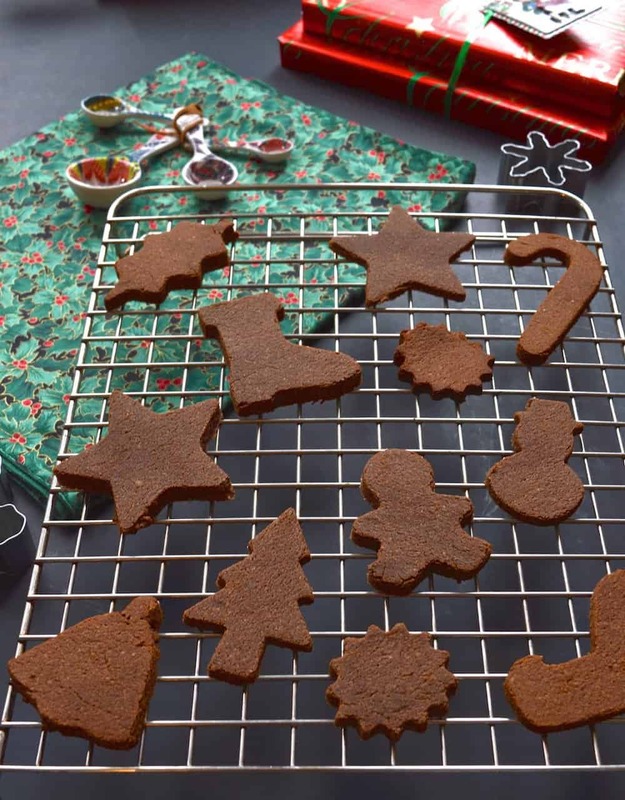 Well in case you haven’t quite finished all your baking (can you ever really have enough holiday treats?) I have another recipe for you to add to your collection! I made these Chocolate Ginger Cookies for my last study group meeting of the year where we had a little Secret Santa gift exchange, some holiday beverages and a few goodies. The holiday beverages were definitely a necessary addition. It was a long and painful session of looking at gross skin pictures to help us study for the dermatology portion of our exam. Why the general internist needs to be an expert in dermatology is beyond me. There is a whole separate 5 year training program for that exact reason. Oh Royal College you baffle me. But needless to say it made for a pretty enjoyable study group! 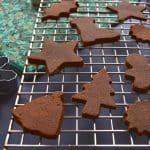 These cookies are made with both almond and coconut flours to give them a unique flavour and they include both ground ginger and cacao powder for some added health benefits. Ginger is great for the digestive tract, being both an anti-spasmotic as well as gas reliever. It also acts as an anti-inflammatory and has potent anti-oxidant effects. For those of you suffering from gastrointestinal issues I suggest a daily dose of ginger to help relieve your symptoms. You might be surprised at how potent this natural remedy is. And when you can get your daily dose from a chocolate cookie how could you complain? In the spirit of the holidays I am proud to share with you my newest cookbook addition. Yiddish Kitchen by Jennifer from Predominately Paleo and Simone from Zen Belly. In this book you will find over 40 traditional Jewish recipes made without grain, using only whole food ingredients. Now I am not Jewish, but that does not mean that I don’t love the recipes in this book. Have you seen the bagels? Trust me they are delicious! And so much like a grain filled bagel that I bet you won’t be able to tell the difference. I got a sneak peak copy of this e-book, and if you order yours before the holidays you will get a great discount. You can pre-order this book by clicking here. Here is a little preview of what you will find inside. Alright everyone I highly doubt that I will be posting again before Christmas so I hope you have an amazing holiday filled with friends, family, good food and hopefully a few special presents. Thank you so much for continuing to stop by. You have no idea how much I appreciate the support and feedback that I get here. As always I would be thrilled if you visited me on Pinterest, Instagram or Facebook.